Its almost end of August and its all about back to school. In my last post my little niece and crafting buddy Little M and I made a lovely back to school pencil pot. 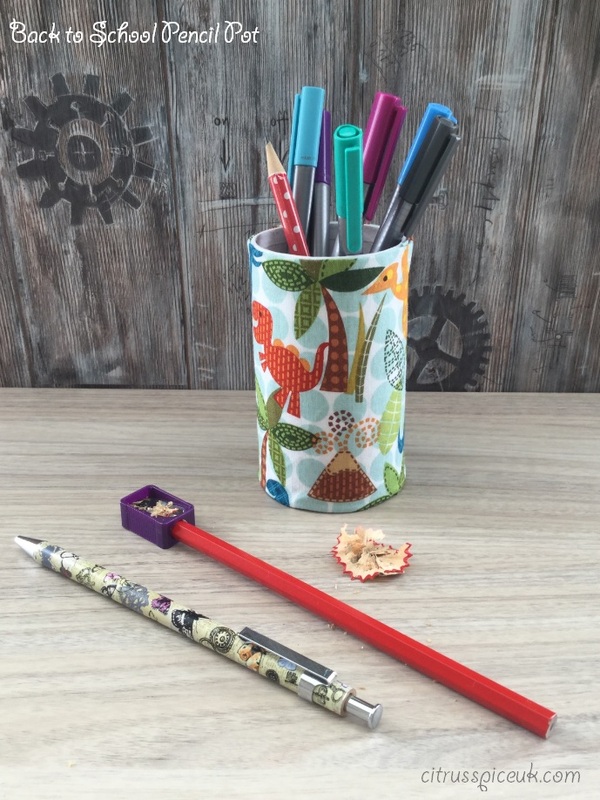 Little M is totally thrilled with her new stationery and loves her pencil pot but she wanted a pencil case to put her colour pencils and felt pens in. Kids demands are sometimes hard to fulfill when you don't always have the things at hand to give them. However I did not want to dissapoint Little M so we decided to make our own pencil case. I had some spare fabric in the Back to school Bostik box so we thought we would use them.We set about making the pencil case however luck was not on our hands, the glue we had was not fabric glue and would not stick the fabric. Quick thinking was required here so I suggested to Little M that we could convert a Zippa bag in to a pencil case. I have a lot of zippa bags in my stationary cupboard for storing nik naks. Little M looked through the Bostik box and found some patterned card she liked, some gold stars and some funky foam letters. She spelt her name out with them"Maya" . The pencil case was easy to make and for five year old very pleasing and personal. 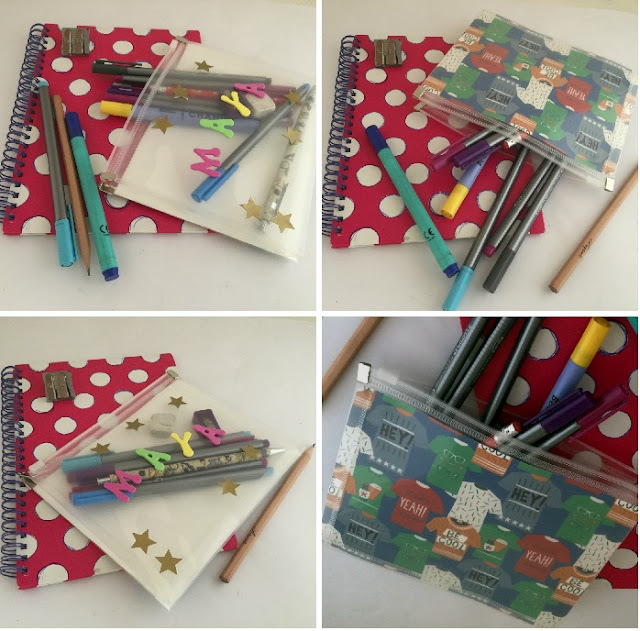 You can see how we converted our Zippa bag into a pencil case in the video below. Gold stars and funky foam letters or decoration of choice. If you like this project check the link below for more art and craft projects, that you can do with your children this summer. What a great idea! I love this pencil case because you made it with things you already had. I know from experience my pencil cases used to get quite beat up during the school term. It was not what we had set off to do but quick thinking and using resources we had it turned out pretty well. What a super easy and fab idea! I don't have any school age children at the moment but will keep this in mind when the time comes. Some really great ideas here. Something for us to think about for when our daughter goes back to school next week. Its nice when kids can make their own things rather than pay extortionate prices for shop bought stuff. Wow! This idea is so cute. My daughter will surely love this. Thanks for sharing. I love this idea. I am a teacher and i still feel like a student and get excited about everything that has to do something with the school. I loved any fun, crafty diy projects like this when I was little too! Probably because I could make my craft as sparkly and glittery as was humanly possible! My children all love arts and crafts. I like it when we make things that they can use so this is a really good idea. Brilliant idea. Was just thinking how I can never find a pencil case I like, now I shall make one instead! That sounds like a fantastic idea. 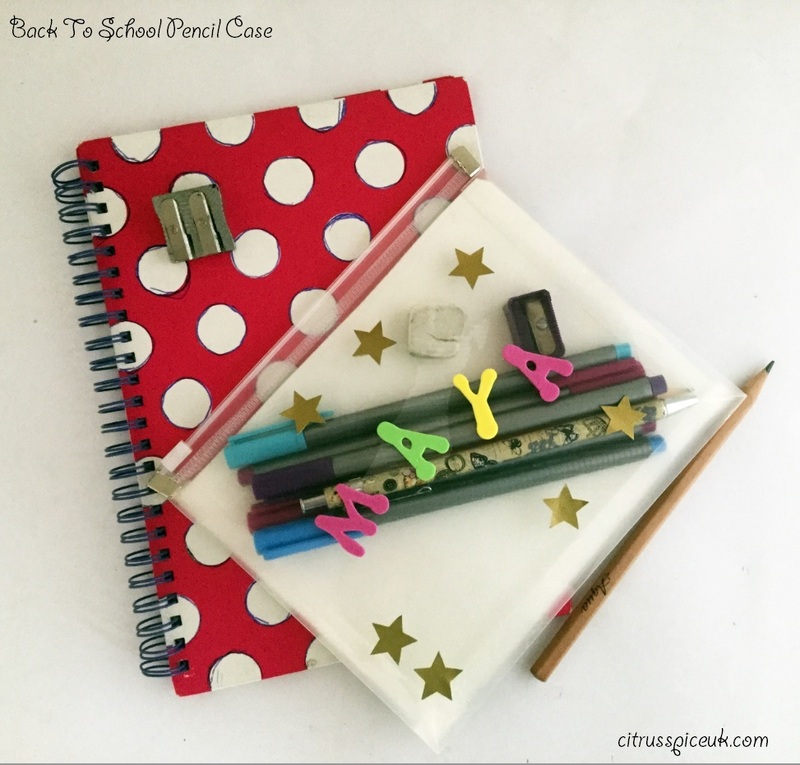 My children love personalising their things so they have fun doing their school pencil case. I feel like you can't have too many of these to be totally honest. I would love to go do this with my girl scouts even for their badges!!! Then I can keep in them in a binder so they aren't in envelopes! I used to love having things at school with my name on. I'd definitely love this! What a lovely design on the pencil case, fantastic idea, my kids would love this. Love the design and this a great way to be creative too.